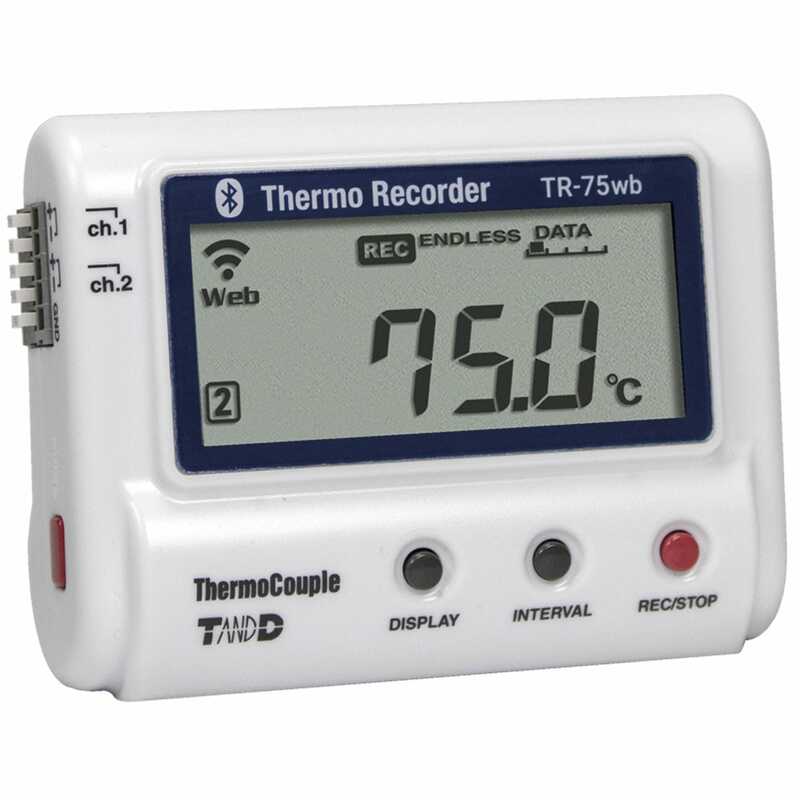 The thermorecorder TR-75wb/nw is a new lineup of the TR-7wb/nw series data loggers designed for cloud storage. The TR-75wb/nw supports 6 types of thermocouple* (K, J, T, E, S, R), and comes in two models: the TR-75wb for a wireless LAN and the TR-75nw for a wired LAN connection. By using T&D WebStorage Service, a cloud service provided by T&D free of charge, temperature data measured by the thermocouple is automatically uploaded and the stored data can be accessed from PCs and mobile devices anytime from anywhere.